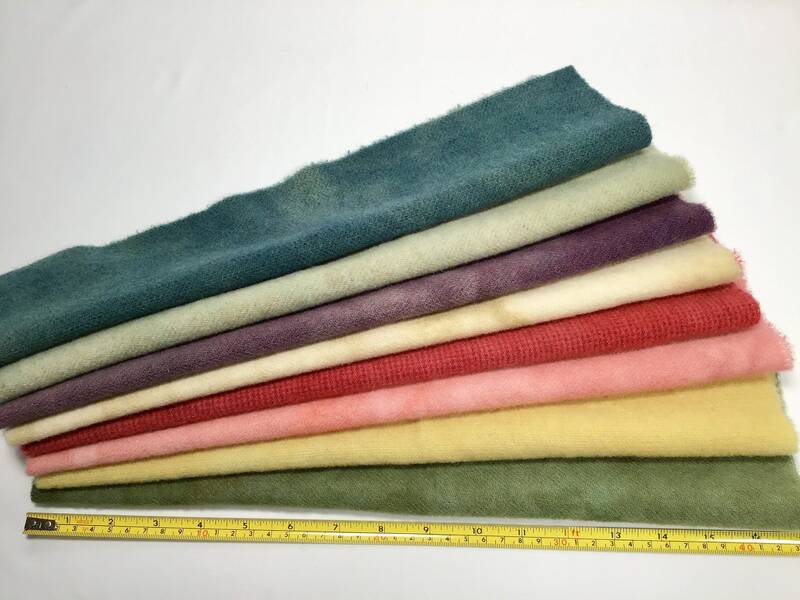 8) fat sixteenths of 100% hand dyed wool fabrics that I have dyed and prepared for use in rug hooking, applique, sewing projects and craft projects. The pieces measure approximately 6" x 16" each. 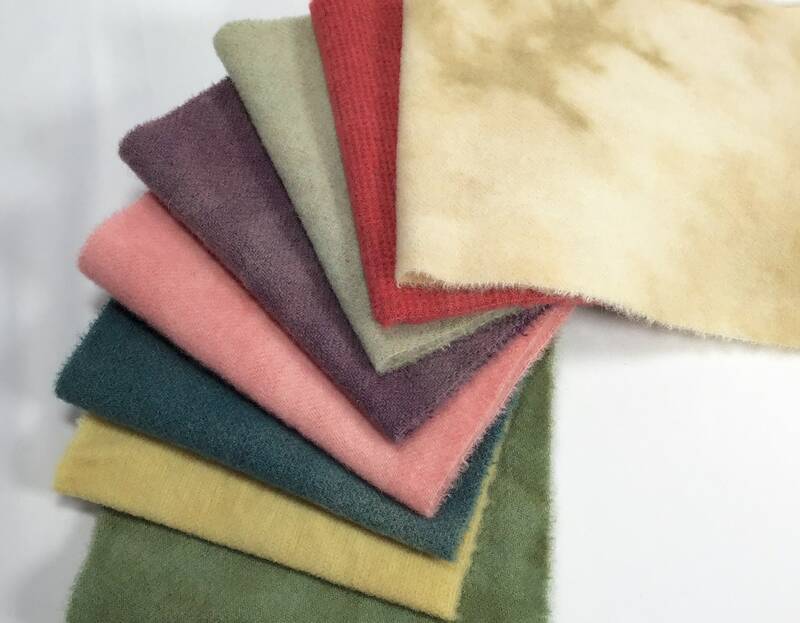 "Summer Meadow" is a collection of spring and summer colors, including coral, pink, yellow, teal blue, purple, a mottled off white and 2 shades of green. They are waiting to be hooked or appliqued in a primitive rug designs or applique project. 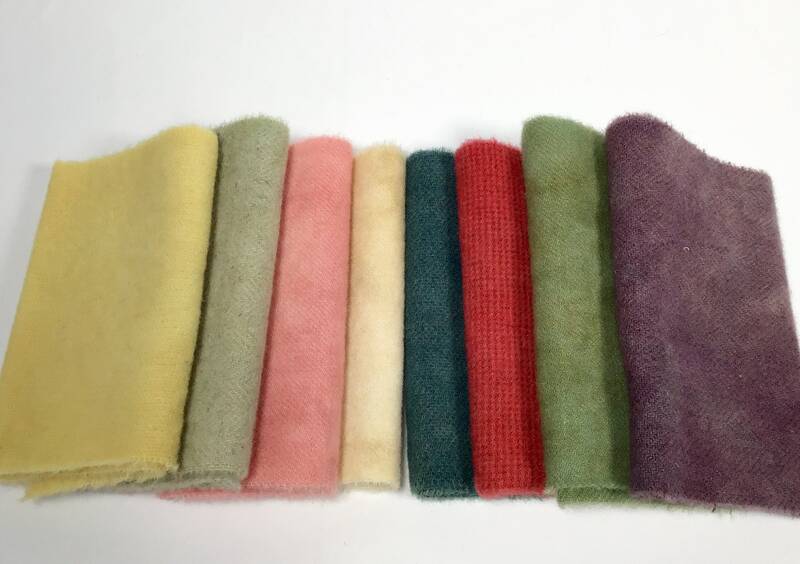 Great for wall hangings, table runners, pin keeps and pin cushions, patchwork, totes and more. 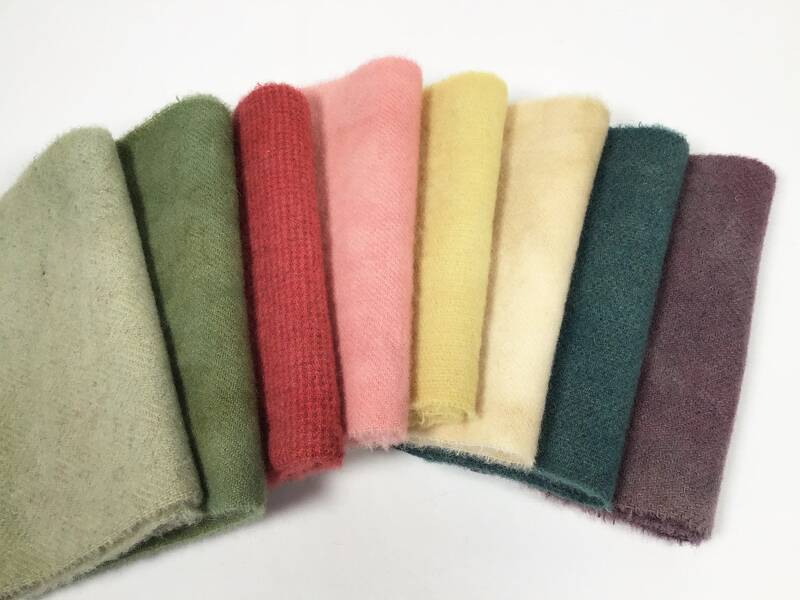 These wool fabrics are medium weight, suitable for primitive rug hooking cuts from #7 and wider. Great for all applique and sewing projects. Photos may vary in color on your monitor. 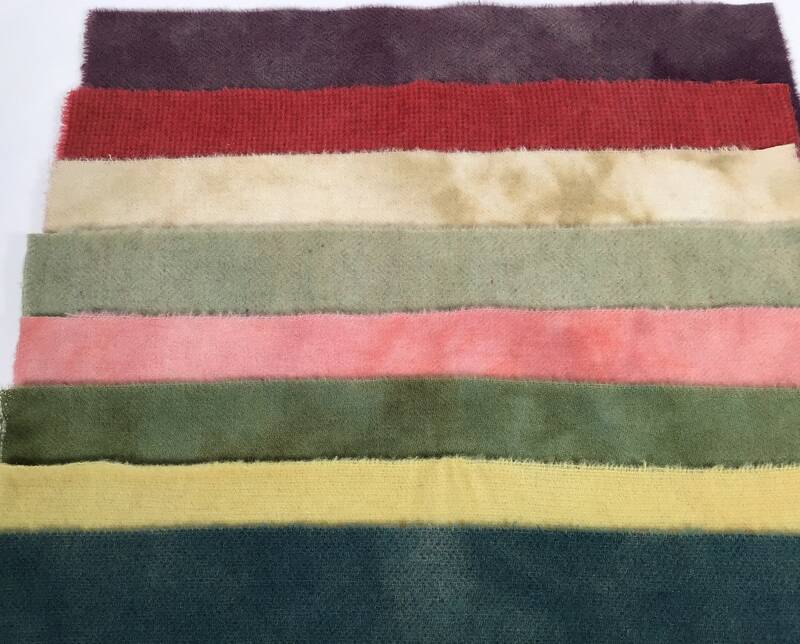 These photos were taken under bright lighting, the wools may look different in your interior rooms. Please refer to description above and zoom in to see the wonderful colors and textures. Thank you for visiting and feel free to contact me with any questions.